I’ve spent a lot of the last year in a major reading slump. My preferences in contemporary romance have not been aligning well with the current trends, which always leaves me in a bit of a funk. Consequently, I’ve been reading more women’s fiction (which I’ve always read and loved) and literary fiction. I’m sharing these titles with you today because I enjoyed all of these books. But I urge you to download a sample first to see if the book is something you’d like. My recommendations are completely subjective and are based on my own personal preferences. When it comes to romance, I prefer older characters (30s or 40s), conflict over angst, heroines who are level-headed, and heroes who are smart, chivalrous, and preferably wearing a suit. This book certainly fit the bill. It’s part of a series, but each book can be read as a stand-alone. I read (and loved) Kim Wright’s debut novel, Love in Mid Air. 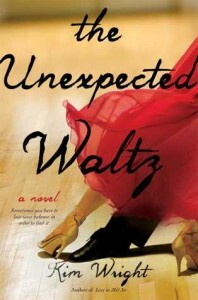 The Unexpected Waltz features one of the characters from Love in Mid Air but can be read as a stand-alone novel. I loved this story of a middle-aged widow who embarks on a re-awakening through her love of ballroom dancing. If you’re looking for the perfect beach read, your search is over. I love how fresh Liz and Lisa made the premise of switching bodies in this highly relatable and often poignant novel. 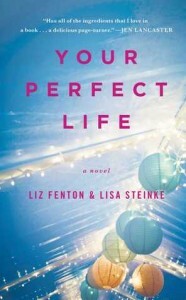 This is women’s fiction at its best. 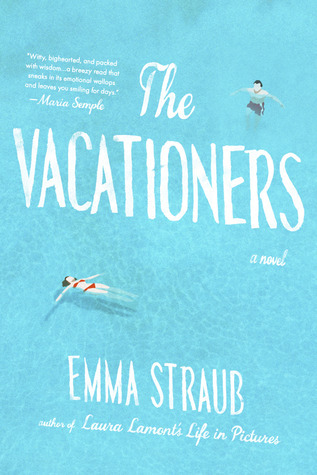 The Vacationers is a book I wasn’t sure I’d enjoy. The reviews were quite mixed, which is why I always download the sample first. I’m so glad I did because I discovered this book was exactly what I was looking for. 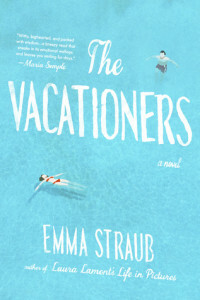 It’s about a family who goes on vacation for two weeks in Mallorca. It’s literary women’s fiction, and not only is it beautifully written, it’s one of those books where the setting is so vibrant you feel like you’re right there with the characters. No one writes snappy, sparkling, and intelligent dialogue like Jessica Park. No one. And if you’re already a fan of Celeste after meeting her in Flat-Out Love, you will love her even more in this full-length novel. And Celeste + Justin = simply adorable. I also flat-out love (see what I did there?) that this book explores first love in such a sweet and innocent fashion. There is something so incredibly addictive about the way Jennifer Weiner tells a story. 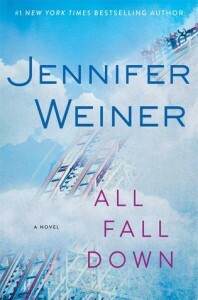 I’ve been a longtime fan and before I switched to an e-reader I used to love picking up Jennifer’s latest book at Target. 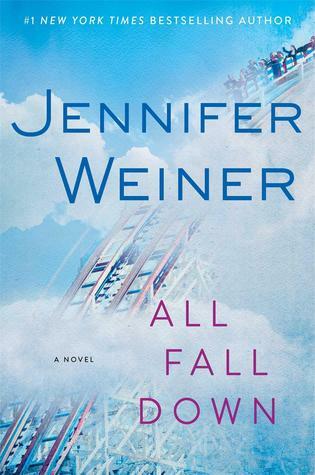 All Fall Down tells the very troubling tale of a wife and mother who is addicted to prescription painkillers. It’s heartbreaking to follow the main character down the rabbit hole of addiction, but it’s an honest and eye-opening journey. This book blew me away. Frankly, I was not sure I’d connect with it because of my tendency to gravitate toward older characters, but Cath and Levi stole my heart and I really enjoyed the fact that their relationship developed slowly. Cath is a twin and I’m a twin, so I know a little bit about wanting to find your own identity. 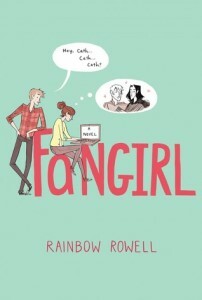 Rainbow Rowell also showed me how powerful a single POV can be. I did not need to know what was going on in Levi’s head, because Rainbow showed me via his dialogue and action. As a reader, I love discovering the nuanced character development that unfolds when a story is told this way. 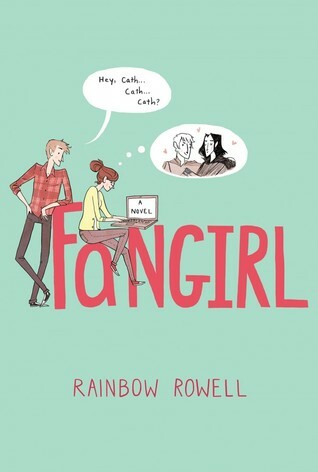 And just like Flat-Out Celeste, Fangirl has a romance that is sweet, innocent, and just as awkward as first love tends to be. Dare I be so bold as to predict that this book will put Dina Silver on the map? Because I am. 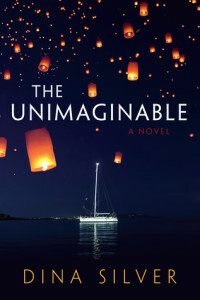 Dina is already the author of three delightful books, but The Unimaginable is her most ambitious novel yet. Do you want to know why I loved it? 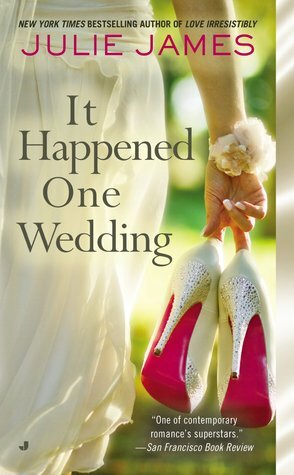 It’s got romance, action and adventure, and one of the most powerful endings I’ve ever read. And it’s different. Frankly, if there’s one thing readers seem to be clamoring for right now, it’s a book that stands out in a crowd. This one does. 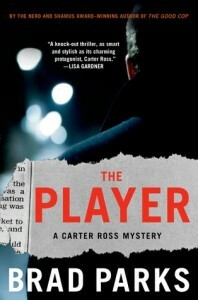 My step-mom actually introduced me to the Carter Ross mysteries because she knew my main character in Every Time I Think of You was a newspaper reporter and so is Carter Ross, the main character in this series. I’ve read all five of the Carter Ross mysteries (they can all be read as stand-alone novels) and have enjoyed them immensely. Brooks McClain, the reporter in my book, is quite serious. Carter Ross, however, is hilarious. He’s also highly likeable, very resourceful, and super entertaining. And in The Player, I finally got something I’ve been waiting for for a long time. I can’t tell you what it is, but if you read all five books you’ll know what I mean. I know I’ve already professed my love for this book on my Facebook author page, but consider its inclusion on this list as just another testament to how much I enjoyed this book. This is what happens when excellent writing is combined with an engaging story. Jonathan Tropper writes in such a way that I totally “get” what he’s trying to say without him having to explain it. To me, that’s an example of perfect word choice. The narrator of the story doesn’t go on for pages, telling me what he means with inner dialogue. He shows me what he means. And I will go on record as saying that I’m a happily-ever-after, plot-threads-mostly-tied-up-kind of girl. But this story is a bit more open-ended. And I was totally cool with that. Am I dying to know what the outcome would have been for a few of the plot points? Yes. Will I pester Jonathan Tropper for the answers? No. (Maybe). No. 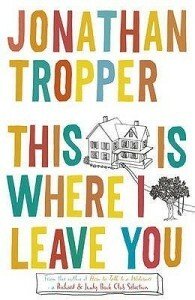 And in case you didn’t know, this book will be making its way to the big screen very soon. I cannot wait to see it! So tell me, what have you been reading lately? As you can see, I’ve added some handy arrows. Under the words ‘Kindle Edition’ you will also see ‘Paperback.’ Now you can purchase whichever edition you prefer (on Amazon, not this blog post). And wouldn’t it be wonderful if you could purchase the paperback and then get a discount on the e-book, so you could have both? With Amazon’s Kindle Matchbook program, you can! Look at the arrow just to the right of the cover image. If you purchase the paperback, you can buy the e-book for only $1.99. And if you’d like, you can mail that paperback to me at Tracey Garvis Graves, P.O. Box 71694, Clive, Iowa 50325. I’ll be happy to sign it and mail it back to you (along with a cute little bookmark). For information on how the Kindle Matchbook program works, click here (you’ll want to make sure you’re logged in to your Amazon account). Would you like to pre-order the Kindle or Paperback version of Every Time I Think of You? Please click here. More pre-order links and book news to follow soon. Please stop by on Monday, August 4th, when I’ll be revealing the cover for Cherish, my novella-length sequel to Covet! I am so excited to share the cover for my upcoming new release Every Time I Think of You. I asked Sarah Hansen of Okay Creations to work her magic, and work it she did! Isn’t it pretty? Would you like to pre-order Every Time I Think of You? Simply click on the highlighted link below. Pre-order links for additional retailers will be coming soon, and I’ll post them as soon as they become available. 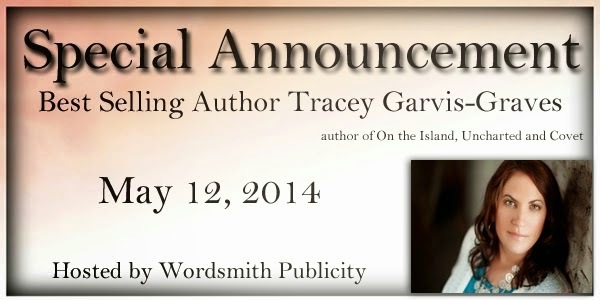 We are thrilled to announce that best selling author Tracey Garvis-Graves will be releasing an Adult Romantic Suspense novel this year! Please be sure to watch the gorgeous trailer for EVERY TIME I THINK OF YOU, read the excerpt, and don’t forget to add it to your reading list! The Trade Paperback of Covet Is Available Today! 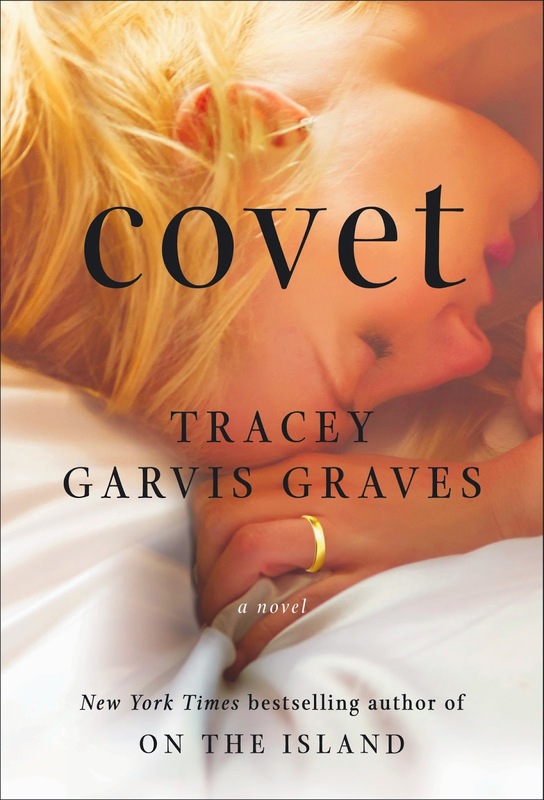 Today is the release of the trade paperback of Covet, with the beautiful new cover! Will I be at Target tonight, taking a picture of it on the shelf? You bet I will (plus we’re getting low on paper towels and laundry detergent, so I’ll be there anyway). And don’t forget, the e-book of Covet is still on sale for $5.99 through May 21st. A bookplate is a fancy name for a sticker that you can peel off and affix to the inside cover or title page of the book (or wherever you want to put it). My publisher has decided to up the ante a bit and has generously offered to send a copy of the trade paperback of On the Island (signed by me!) to the first thirty people who send in a picture of themselves with their copy of the trade paperback of Covet. Everyone who sends in a photo after that will also receive a bookplate. Disclaimers: You do not have to buy anything. This is meant to be along the same lines as last September’s hardcover launch of Covet when I sent out signed bookplates. Basically, if you’ve been planning to buy the trade paperback of Covet and you pick it up sometime in the next week or two, I’d love to see a snapshot of you holding your copy (and you’ll receive a bookplate and signed copy of On the Island). Covet E-book Sale And Giveaway! Isn’t it gorgeous? I wouldn’t have believed that Penguin could top the beautiful concept they came up with for the hardcover edition, but I think they have. I just love it. In conjunction with the publication of the trade paperback, the e-book will also be going on sale. From today through May 21st, you can buy the e-book of Covet for $5.99. If you haven’t yet picked it up, now would be a great (and economical) time to do it. To enter, all you need to do is follow the instruction on the PunchTab giveaway below (and make sure to share your activity on your Facebook timeline). If you win, I do need to be able to verify where you shared the information. This giveaway is open to EVERYONE. I don’t care where you live, I’ll get the prize package to you. 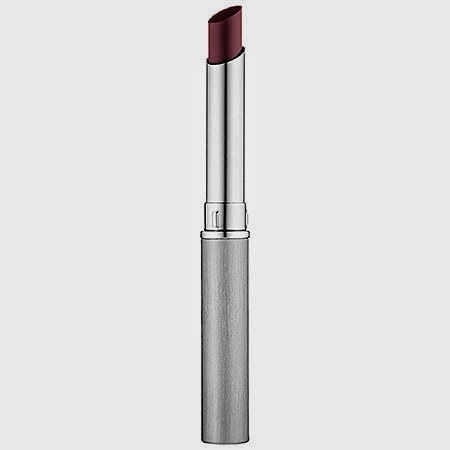 The giveaway will run from 8:00 a.m. CST 4/23 through 8:00 a.m. CST 4/25. One winner will be chosen. PLEASE BE AWARE THAT YOU *MAY* HAVE TROUBLE ENTERING THE GIVEAWAY USING A MOBILE DEVICE. Today I’d like to talk about something that’s become quite worrisome to me. I’ve already touched upon this subject here, in my FAQ, but I want to go into it in more detail. I’m still receiving e-mails from authors with this question: Who did you use to self-publish On the Island? As I’ve said before, I didn’t use anyone to self-publish my debut novel. I published it myself (which is why it’s called self-publishing) and the book was later acquired by Penguin as part of a two-book publishing contract. But initially, when the book was self-published, I acted as the publisher and I was responsible for all the things a traditional publisher would have done for me. I spent time searching for – and vetting – a freelance content editor, copy editor, and formatter. The names of everyone I used can be found in the link in the first paragraph of this post. I paid each of these freelance professionals a flat fee, which we agreed upon in advance. There were also written contracts provided (where applicable), so that everyone knew the fee and the completion date of the service provided. Once everything was complete and my book was ready to be published, I uploaded it to Amazon and Barnes & Noble. 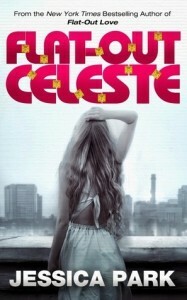 I also published via Smashwords, so that my book could be available through Sony, Kobo, Apple, and Diesel. Cost to UPLOAD: zero dollars. I paid nothing. The reason I’m writing this post today is twofold: First of all, if you’re going to self-publish, you don’t need to pay anyone to do this for you, especially if they’re also going to take a percentage of your royalties. Self-publishing is not nearly as hard as people want you to think it is. It takes work, and there are a lot of steps involved, but it’s not hard. If you’re ready to publish (or query agents), the really hard part – writing your book, revising it, sharing it with betas, revising it again, self-editing, and polishing – should already be done. If these steps haven’t been taken, your book is probably not ready for querying OR publication. Get a critique partner, get some beta readers, spend more time learning the craft of fiction writing, or whatever it is you need to do to write the best book you possibly can. Second of all, when you pay a company to publish your book for you, this is called vanity publishing. You will pay for your own editing, cover, marketing, etc…Print distribution will probably be of the print-on-demand variety, which I don’t have a problem with, but you’re still paying a company to publish your book for you. And some of you are paying a lot of money to let them do it. When you stumble upon my self-publishing FAQ and then write to me, heartbroken, because you’re out hundreds, and sometimes thousands of dollars, I feel horrible for you. But if you want to be a writer, you’re going to have to make good business decisions and that includes educating yourself about the business you want to be a part of. Read everything you can about the publishing industry, so that you can make informed choices. There are tons of great articles and blog posts out there, so spend a little time every day learning something new. So, is it bad to pay a company to do your editing, your cover, your formatting, etc…and then publish your book for you? Paying freelance professionals on a per-job basis makes a lot more sense. And making sure that you’re the only one who will receive royalties (other than the cut the retailer will take) is always a solid business plan. Here is the link for the Amazon Kindle Direct Publishing FAQ. Here is the link for Barnes & Noble’s Nook Press FAQ. These links are a GREAT place to start if you want to learn more about how to self-publish your work. And remember, you can upload your manuscript to Amazon and Barnes & Noble for FREE. There’s something even more insidious than the vanity publisher, and it’s what I call the “predatory publisher.” With the explosion of self-publishing, more and more writers are throwing their hat in the ring. Unfortunately, that means that these “predatory publishers” are also popping up all over the place. What usually happens is this: An author submits their manuscript and an “offer” to sign the author is made. Unfortunately, what the author finds out later is that they can’t get the publisher to pay the royalties that are due to them. Now they’re in a really bad situation. Also, it is a huge red flag if a publisher is willing to sign you without reading your manuscript. Think about it: why would they buy something they know nothing about? 1. Self-publish without outside assistance. I’m not talking about your editor, formatter, cover designer, etc… you’ll pay them a flat-fee for services rendered. I’m talking about someone who wants you to pay them money to publish your book and/or also wants a cut of your royalties. 2. Google is your friend. If you’re thinking about signing with a publisher, do your due diligence. There are a lot of really good publishers out there – big, small, and in-between – but check them out. If you don’t have an agent, consider hiring an IP attorney to look at any publishing contract you may be considering. 3. Go to Preditors & Editors (click on the link here). I like to think of P&E as the Better Business Bureau of the publishing world. Go to the section marked ‘Book Publishers’ and check yours out. If it says NOT RECOMMENDED, there’s a reason and I’d steer clear. 1) You are perfectly capable of self-publishing your manuscript on your own, and uploading it to retailers will cost you nothing. 2) Do your due diligence when signing with ANY publisher, and if you don’t have an agent make sure you consult an IP attorney. 3) Never pay a publisher to publish your book for you. You can do that on your own. Along these same lines, I’d like to caution you when choosing a copy editor. Because everyone is a copy editor these days. While I’m certainly glad that there are plenty of available resources, you need to make sure your copy editor is qualified. Ask them if they follow the Chicago Manual of Style or APA. If they don’t use either, or they don’t know what you’re talking about, they are probably not qualified. And just because someone is a voracious reader doesn’t necessarily mean that they’re capable of editing your work. Copy editing is a learned skill, and good copy editors are constantly honing theirs. Other people who are not qualified to edit your manuscript: your sister, your best friend, your mom (unless they’re actually copy editors). Time and time again, I see copy editing confused with proofreading. While copy editing includes finding typos in a manuscript, copy editing involves a qualified professional showing you all the places you screwed up. A good copy editor will know that your compound modifier is missing a hyphen. A copy editor will tell you when it’s okay to split an infinitive, and when it isn’t. A copy editor will know if you are using simple past when you should be using past perfect (and vice versa). I have learned something new every time one of my manuscripts has been copy edited, which in turn helps me to become a stronger writer. A good copy editor can teach you so many things. So just be careful, okay? I’m not trying to burst anyone’s bubble, but I do want you to do your homework because I don’t like it when people are taken advantage of. I’ll be happy to answer questions in the comments sections, so please feel free to ask. Giveaway Winners! Happy Pub Day To Patience Bloom! Congratulations to Jennifer Patterson, Alexis Ciman, and Cindi Ponkey Hartmann! You have each won a signed copy of Patience Bloom’s awesome new memoir Romance Is My Day Job. 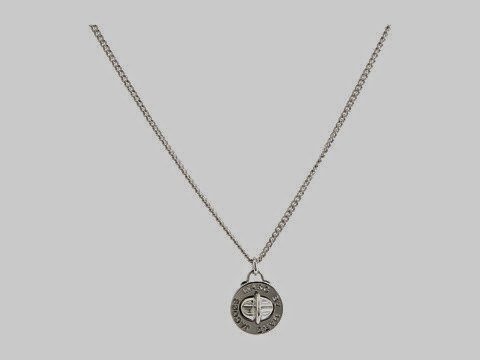 Winners, please send an e-mail message with your postal mailing address to traceygarvisgraves@gmail.com. Today is the official publication day of Romance Is My Day Job, so if you didn’t win you can find the book at the following retailers by clicking here. I’m on the home-stretch with my new book but wanted to poke my head out of the writing cave for a minute to tell you about a great book I read. You may have heard me mention before that it’s hard for me to read fiction when I’m knee-deep in writing a book. I find it difficult to have another author’s voice in my head, so I usually take a break from reading, which I hate because reading has always been a part of my daily routine. That doesn’t mean I don’t add more books to my TBR pile, because I certainly do. When I turn in a manuscript I always look forward to going on a giant reading binge. However, I can usually read non-fiction and memoirs while I’m writing, so I’m always on the hunt for a good one. My editor knows this, and I was thrilled when she asked me if I’d like to read a not-yet-released memoir. 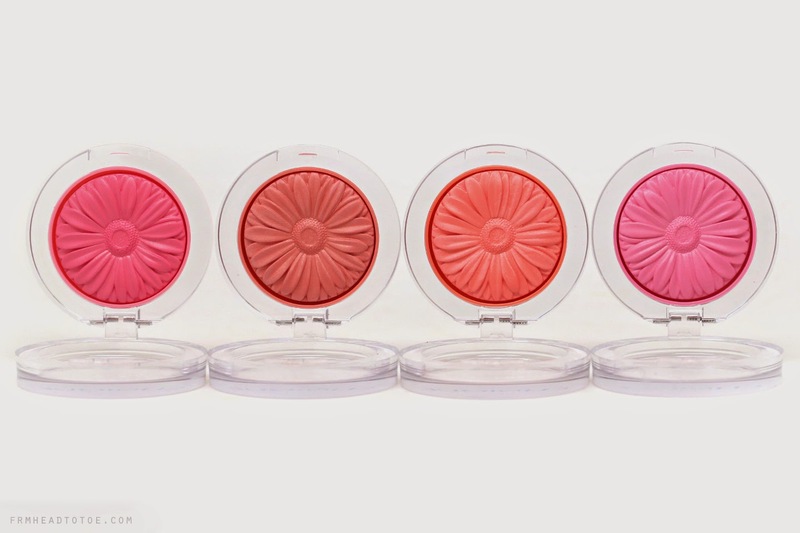 My enthusiastic response: gimme, gimme, gimme! Who knows the ins and outs of romance better than a Harlequin editor? A surprising and exhilarating look into Patience Bloom’s unexpected real-life love story. At some point, we’ve all wished romance could be more like fiction. Patience Bloom certainly did, many times over. As a teen she fell in love with Harlequin novels and imagined her life would turn out just like the heroines’ on the page: That shy guy she had a crush on wouldn’t just take her out—he’d sweep her off her feet with witty banter, quiet charm, and a secret life as a rock star. Not exactly her reality, but Bloom kept reading books that fed her reveries.Years later she moved to New York and found her dream job, editing romances for Harlequin. Every day, her romantic fantasies came true—on paper. Bloom became an expert when it came to fictional love stories, editing amazing books and learning everything she could about the romance business. But her dating life remained uninspired. She nearly gave up on love.Then one day a real-life chance at romance made her wonder if what she’d been writing and editing all those years might be true. A Facebook message from a high school friend, Sam, sparked a relationship with more promise than she’d had in years. But Sam lived thousands of miles away—they hadn’t seen each other in more than twenty years. Was it worth the risk?Finally, Bloom learned: Love and romance can conquer all. I loved this book. I mean, really, really loved it. I read it straight through in one sitting. I feel like I know Patience now, in a totally normal and non-stalk-y way. Isn’t Patience the coolest name, ever? And aren’t you DYING to know what happened between Patience and Sam? 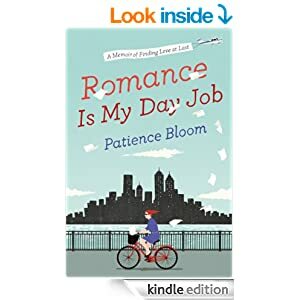 I will be giving away three copies of Romance Is My Day Job, signed by Patience Bloom. The giveaway will run for twenty-four hours, so I’ll pop back and announce the winner tomorrow after 8:00 a.m. CST. ***Please note that this book is a US release, therefore the giveaway is only open to readers in the US. I’m sorry about that! Also, you may not be able to enter the giveaway using a mobile device. Covet Playlist Explained: Why Did I Choose These Songs? I wrote a post a while back for Penguin UK and I thought I’d share it here, too. My UK editor wanted to know if I could explain the reasons behind the songs I’d chosen for the Covet playlist. In case you’d like to know, here they are! 1. “Her Diamonds” by Rob Thomas – The opening line of the song is, Oh what the hell she said I just can’t win for losing. When I first heard those words I thought they perfectly captured how Claire was feeling when she tried to help Chris through the stress of losing his job and the depression that followed. She wanted to help, but nothing she said or did seemed to be right. 2. “Daniel” by Elton John – Somewhat self-explanatory, since Daniel is one of the main characters in Covet. But because of a decision that was made in the book, this line especially hit home: Lord I miss Daniel, oh I miss him so much. 3. “Every Little Thing She Does Is Magic” by The Police – At one point in the drafting of Covet, I had Daniel tell Claire that he’d assigned this ringtone to her. It was a not-so-subtle way of letting her know that he thought she was pretty special. The song is performed by The Police (get it?). I later took it out of the book, because it seemed a bit juvenile, but I love this song and it remained on the playlist. 4. “Don’t You Wanna Stay” by Jason Aldean and Kelly Clarkson – *Sigh*. These three lines say it all: Don’t you wanna stay here a little while? Don’t you wanna hold each other tight? Don’t you wanna fall asleep with me tonight? 5. “Bring It On Home” by Little Big Town – I love this song. I listened to it over and over while writing the ending to Covet (so it really should be last on the playlist). The theme of this song, at least to me, is that home is where you need to be when things are really tough. It’s where your spouse is. It’s where problems can be fixed. When things are at their worst you still have each other, so don’t shut the other person out. Don’t let the water come and carry you away. Claire was very close to being swept away, and Chris had some work ahead of him to convince her that he could be that safe harbor for her. Someone who loves you more than life right here. It reminds me of what Claire and Chris have at home. 7. “Good Is Good” by Sheryl Crow – The song opens with, Good is good and bad is bad, You don’t know which one you had. I chose this song because that line sums up how conflicted Claire was throughout much of the book. She knows she is lucky, and that she has a lot to be thankful for, but there’s a part of her that wants and needs more. But she doesn’t want to rock the boat too much and risking losing it all. 8. “Say” by John Mayer – Oh, this song. If you could only . . .Say what you need to say. Claire had tried to talk to Chris in the past – and been shot down – so she stopped trying. Chris internalized everything and never shared the way he was feeling with Claire. Their lack of communication almost ended their marriage. 9. “Mockingbird” by Rob Thomas – These two verses highlight the way Claire felt when she knew the marriage was on shaky ground. She knew something had to change, but she needed Chris to work with her, not shut her out. This one was one the darkest times for her. Or will we open up and take this whole thing in? Well, maybe we ain’t meant for this love. 10. “Whatever It Takes” by Lifehouse – This whole song applies to Claire and Chris’s marriage. I can picture him saying the words in the first verse to her, and her saying the words in the second verse to him. I’ll keep us together whatever it takes. You gotta love yourself if you can ever love me. So, there you have it! I played that playlist so often my kids know the words to every song (my daughter has become quite the Rob Thomas fan). I love being influenced by music when I’m writing a book.